SSIS Introductory Course | SSIS Online Videos. Description: SSIS Introductory Course | SSIS Online Videos. SQL Server Integration Services (SSIS) is a component of Microsoft SQL Server database software which can be used to perform a broad range of data migration, Data integration and Data Consolidation tasks. It features fast and flexible data warehousing tool used for data extraction, transformation and loading (ETL). The tool may also be used to automate maintenance of SQL Server databases and updates multidimensional cube data. SSIS is the new data transformation standard for SQL Server 2005 onwards and has replaced the old SQL Server Data Transformation Services. This extensive SSIS Introductory Course is provided for the participant to have in-depth knowledge of Developing packages using different tasks and providing ETL solutions based on different requirements. Get an idea of the quality and quantity of the subjects by watching demo videos provided. The course material is simple and organized and can be used for learning and as a reference material. Includes job interview related training to help participants face an interview confidently. Microsoft Certification Guidance and any subject related questions will be answered by Mr Sandeep Soni (MCT). Every course is accompanied by a Real-time project along with a step-by-step guide and complete source code. Understand MSBI application development Life Cycle. Understand basic Data Warehousing Concepts. Gain a complete understanding of different control flow tasks, containers and precedence constraints. Gain understanding of Security and Package management. Participants need to be familiar with basic RDBMS concepts with skills to write queries. Working experience on any RDBMS would be an added advantage. A well-known trainer at Deccansoft for more than 6 years, she is a specialist in SQL Server 2008 and has taught well over many students. Her uniqueness lies in conducting her classes with ease and clarity, making her students understand even the most complex queries with no difficulty at all. Her class sessions are also now available as videos, targeting students who want to learn the course at their own pace and convenience. An avid learner, she has now trained herself in Microsoft Business Intelligence suite of products (SSIS, SSAS and SSRS), a must for everyone specializing in Business Intelligence and will soon be launching the classes which will definitely enhance one’s knowledge in SQL Server. Microsoft SQL Server is an application used to create relational databases for the Microsoft Windows family of server operating systems. Microsoft SQL Server provides an environment used to generate databases that can be accessed from workstations, the Internet, or other media such as a personal digital assistant (PDA). It is a database platform for large-scale online transaction processing (OLTP), data warehousing, and e-commerce applications; it is also a business intelligence platform for data integration, analysis, and reporting solutions. Prior to version 7.0 the code base for MS SQL Server was sold by Sybase SQL Server to Microsoft and was Microsoft’s entry to the enterprise-level database market. Microsoft makes SQL Server available in multiple editions, with different feature sets and targeting different users. Example: Enterprise, standard, workgroup, Express etc. SQL Server Express Edition is a free, lightweight, version of SQL Server. While there are no limitations on the number of databases or users supported it is limited to using one processor. SQL Server Express (Database Only) Includes only the relational database engine. Database Engine: SQL Server Database Engine includes the Database Engine, the core service for storing, processing, and securing data, replication, full-text search, tools for managing relational and XML data, and the Data Quality Services (DQS) server. Reporting Services: Reporting Services includes server and client components for creating, managing, and deploying tabular, matrix, graphical, and free-form reports. Analysis Services: Analysis Services includes the tools for creating and managing online analytical processing (OLAP) and data mining applications. Integration Services: Integration Services is a set of graphical tools and programmable objects for moving, copying, and transforming data. It also includes the Data Quality Services (DQS) component for Integration Services. SQL Server 2008 provides the capability to issue full-text queries against plain character based data in your SQL Server tables. This capability is useful for searching large text fields, such as movie reviews, book descriptions, or case notes. Full-text queries can include words and phrases, or multiple forms of a word or phrase. SQL Server Configuration Manager: SQL Server Configuration Manager provides basic configuration management for SQL Server services, server protocols, client protocols, and client aliases. SQL Server Data Tools: SQL Server Data Tools (SSDT) provides an IDE for building solutions for the Business Intelligence components: Analysis Services, Reporting Services, and Integration Services. SQL Server Management Studio: SQL Server Management Studio SSMS is an integrated environment to access, configure, manage, administer, and develop components of SQL Server. Management Studio lets developers and administrators of all skill levels use SQL Server. 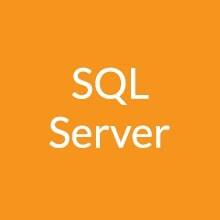 From SQL Server 2000 the capability is provided to use multiple instances of database engine on the same server. The default instance is identified by Server Name. There can be many Named Instances. Note: If there is one instance of SQL server it can listen to default port no 1433. It listens for incoming requests for Microsoft SQL Server resources and provides information about SQL Server instances installed on the computer. The basic purpose of the SQL Server Browser service is to provide instance and port information to incoming connection requests. The permissions to the client are granted based on the identity which was created and stored in the SQL Server database. 1. Start > Programs > Microsoft Sql Server 2012 > SQL Server Management Studio > Connect… > Right Click on Root of the Tree > Properties >Select Security > Check SQL Server and Windows Authentication Mode. 3. Also, Select Status (on the left side) Check Login Enabled. 4. Disconnect and Connect again with SQL Server Authentication so that we are sure the above steps are correctly performed. SQL Server Management Studio is an integrated environment or tool for accessing, configuring, managing, administering and developing all components of SQL Server. It has a rich graphical interface with script editors. It works with all components of SQL Server such as Reporting Services and Integration Services, Analysis Service. The master database contains all information about running servers configuration. It includes all of the logins, linked servers, endpoints, and other system-wide configuration settings. The master database is also where SQL Server stores information about the other databases on this instance and the location of their files and records initialization information for the instance. 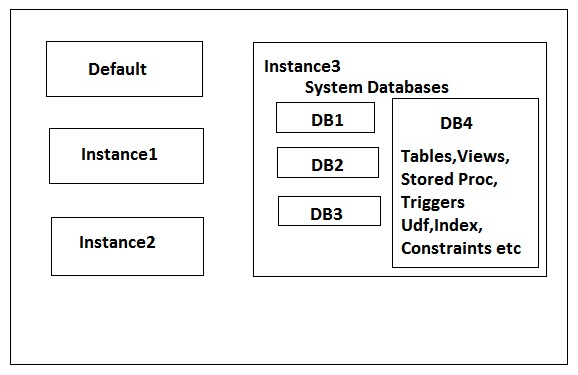 Master database is the logical repository for the system objects residing in the sys schema. It holds information for all databases located on the SQL Server instance and is the glue that holds the engine together. SQL Server cannot start without a functioning master database, you must administer this database with care and it is vital to make regular backups of this database. The resource database is a hidden, read-only system database. System objects are no longer stored in master but the Resource database from SQL Server 2005. System objects, such as sys.objects, are physically persisted in the Resource database, but they logically appear in the sys schema of every database. The Resource database does not contain user data or user metadata. Model is essentially a template database used in the creation of any new user database created in the instance. You can place any stored procedures, views, users, etc. in the model database so that when a new database is created, the database will contain the objects you have placed in the model database. As its name implies, Tempdb holds temporary objects such as global and local temporary tables and stored procedures. This database is recreated every time SQL Server starts, and the objects contained in it will be based upon the objects defined in the model database. Tempdb also houses other objects such as table variables, results sets from table-valued functions, and temporary table indexes. Because tempdb will hold these types of objects for all of the databases on the SQL Server instance, it is important that the database is configured for optimal performance. Database Mail is an enterprise solution for sending e-mail messages from the SQL Server Database Engine. Using Database Mail, your database applications can send e-mail messages to users. The messages can contain query results, and can also include files from any resource on your network.